Ahead of the inaugural sailings of Pacific Aria and Eden in November, P&O Cruises Australia has unveiled further details of the culinary offerings available aboard both of the line’s new vessels — including the menus of its two new hotly-anticipated restaurants, Angelo’s and Dragon Lady. Bringing contemporary Italian and pan-Asian cuisine to the sea in a whole new way, P&O’s latest at-sea restaurant venture promises a relaxed sophistication unrivalled by most of the line’s competitors. 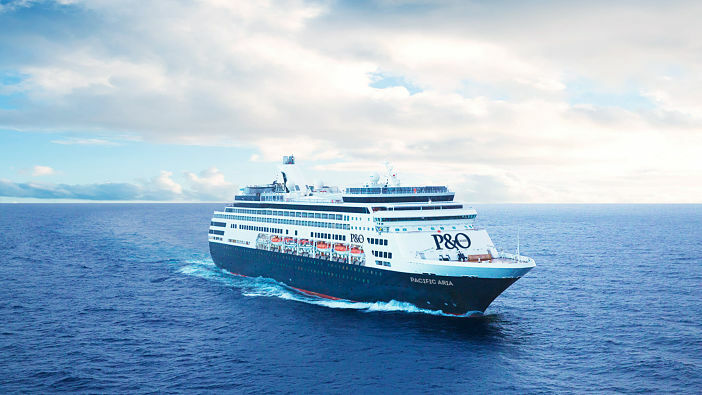 In fact, P&O’s new twist on modern and contemporary at-sea cuisine has caused quite a stir in the Australian cruise market, with some critics heralding the restaurants as game-changers in the local cruise industry. Delivering a true taste of la dolce vista in sumptuous, contemporary surroundings, Angelo’s takes inspiration from renowned Italian photographer and style icon, Angelo Frontoni. In contrast, the dark timbers and brooding interior lighting of Dragon Lady creates a sophisticated ambience where guests can enjoy a complete roster of delicious Asian-inspired eats. When asked to comment on Aria and Eden’s latest restaurant offering, Stuart Myrmell, senior vice president of P&O Cruises Australia, said that each restaurant invokes the spirit of contemporary Australian cuisine, whilst taking inspiration from other beloved international cuisines. Myrmell said: “The menu at Angelo’s is a first for us and a move away from the traditional trattoria style menus towards more contemporary Italian dining. We’ve considered a mix of classic Italian dishes in the menu but also added a very modern take that incorporates the latest trends in Italian dining. The result is a varied, far-reaching menu encompassing classic Italian favourites like Linguini Pasta Vongole and Veal Ossobucco Gremolata, as well as speciality dishes like Sicilian-style Sardines sourced locally from Fremantle. Meanwhile, highlights on Dragon Lady’s equally expansive menu include Tempura-crusted Uramaki Sushi, Singapore-style Soft Shell Crab and Kuo Pao Masterstock with Slow-cooked Beef Cheeks. Other exciting eateries available aboard Pacific Aria and Pacific Eden include The Waterfront Restaurant, Luke Mangan’s Salt Grill and The Pantry — all of which, like Angelo’s and Dragon Lady, incur additional charges. Dragon Lady and Angelo’s are exclusively available aboard Pacific Aria and Pacific Eden, which are set to launch this November. To keep up to date with the latest new on P&O’s new ships as it develops, stay tuned to the Cruise1st Australia blog. Image sourced via P&O Cruise Press Center. Credit: P&O Cruises.